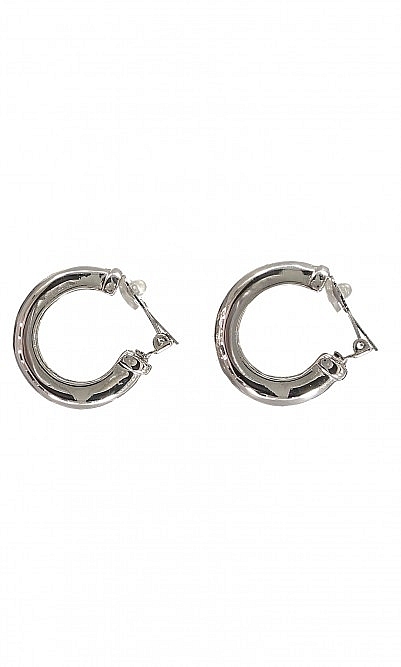 Pleasingly rounded chunky silver hoops with sturdy clip-on fastenings. Nickel-free. Dia3cm.